"As I came to power peacefully, so shall I keep it." Corazon Cojuangco Aquino was born in Tarlac on January 25, 1933 to Don Jose Cojuangco and Doña Demetria Sumulong. 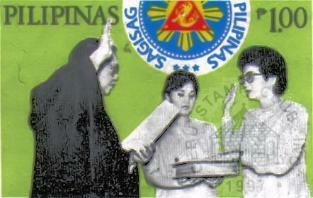 After her husband Ninoy's assassination, Cory declared her candidacy for president against President Marcos in the 1986 elections. She and her followers challenged the fraudulent election result declaring Marcos as the winner. 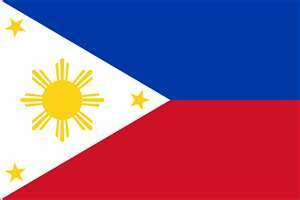 This led to the defection of military forces led by Defense Secretary Juan Ponce Enrile and General Fidel Ramos. Manila's Jaime Cardinal Sin called on the people for support that eventually forced Marcos to flee the country and came to be known as the EDSA Revolution. She sat as president under the Freedom Constitution, a temporary measure until a new constitution could be written. In 1987, a new constitution was approved. Her presidency saw unsuccessful coups instigated by disgruntled military officers. 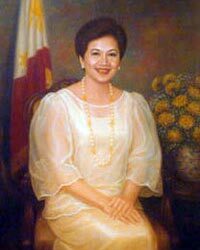 Her greatest legacy to the Filipinos was the restoration of democracy. In the 1992 Presidential Elections, she supported Ramos, who was her Defense Secretary. She married Benigno Aguino Jr., who was assassinated during the Marcos regime and has five children - Maria Elena, Aurora Corazon, Victoria Eliza, Benigno III, and Kris. She died of cardio-respiratory arrest on August 1, 2009.